Tilting at Windmills Since 1980: Snubbed. Again. Awards season is here. Again. Of course, lots of people (myself included) are completely over the moon with excitement. I love awards shows. They are so... so... so Hollywood. Many other people, however, are totally bummed and feeling ripped off. 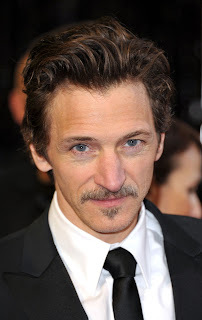 Tons of ink (or bytes, these days) on the John Hawkes snub. More ink still on the little nine year-old girl from Beasts of the Southern Wild, Quvenzhané Wallis, being nominated for Best Actress. Okay, here’s my two-part rant for the day. Maybe even for the weekend. John Hawkes is one of those enviable character actors whose name most people never remember. “Hey, wasn’t he the guy in that other movie? You know the one where he played the (insert adjective here) guy?” Oh sure, he was excellent in The Sessions. Anyone familiar with his work at all would expect nothing less. But did he really get “snubbed” by Academy voters? Nah, not really. Understand, however, that knowing this doesn’t have to take any of the fun away. You just have to know it, like, in the front of your brain kind of way. In fact, I’m astonished that John didn’t get a nom, too. He WAS great in The Sessions role and this kind of character is almost always a shoe-in for this Kind of recognition. Any actor who plays a character with some sort of medical affliction is virtually guaranteed an award somewhere along the way. I mean, right? Tom Hanks in Philadelphia. Dustin Hoffman in Rain Man. Daniel Day-Lewis in My Left Foot. Russell Crowe in A Beautiful Mind. Point being, your peers and other industry folk, honestly believe that playing someone with a medical condition is hard. Which of course, is not always the case. Peter O’Toole’s character, Alan Swann, from My Favorite Year has a classic line, “Dying is easy. Comedy is hard.” (The line has been attributed to everyone from Edmund Kean to Oscar Wilde, but O’Toole’s Swann said it on film, so he’s the one I’m going to.) It’s true. Some of the best acting you will ever see has been done in comedic roles. Timing, subtly, complete understanding of text and character are what separates the Jack Lemmons from the Adam Sandlers. For some insane reason, comedies have never been taken seriously by anyone but the people who actually pay to go to the movies. But, I digress. As usual. Q, as everyone calls her, is a darling little girl. I mean that sincerely. She is nine years-old. NINE! 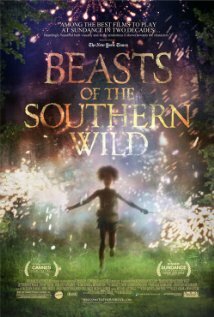 She was SIX when Beast of The Southern Wild started shooting. She is not an actress. Not yet anyway. She may turn into the next Meryl Streep. She may evolve into the greatest living actress of her day. I hope so. Right now though, she’s a kid who got a performance coaxed out of her by a director. That’s okay, too. In fact, it speaks more about the talent of the director than the on-screen performance of Miss Wallis. And that’s okay. Everyone has to start somewhere. But, to give this young lady a “Best Actress” nomination is naive, at best. There really should be an age limit to be considered for awards -- of any kind. 18, 20, I don’t know, something. Any “Best Actor” award should mean something. No matter what organization gives it out it should mean something. It should mean the actor has some sort of training, be it formal or experiential. It should mean the actor brings something to the role in the way of creativity, decision making, interpretation, nuance, vocal quality, hitting marks, knowing where the camera is, the list goes on. A good performance is different than an award worthy performance. No offense to Miss Wallis, but her nomination makes a mockery of the whole process. How about this for a radical idea: A special category for new or young talent? You know, rookies? I predict my next rant will be something about Seth McFarlane, the Oscars, and how Hollywood doesn’t know how to put on a show about shows. Stay tuned.